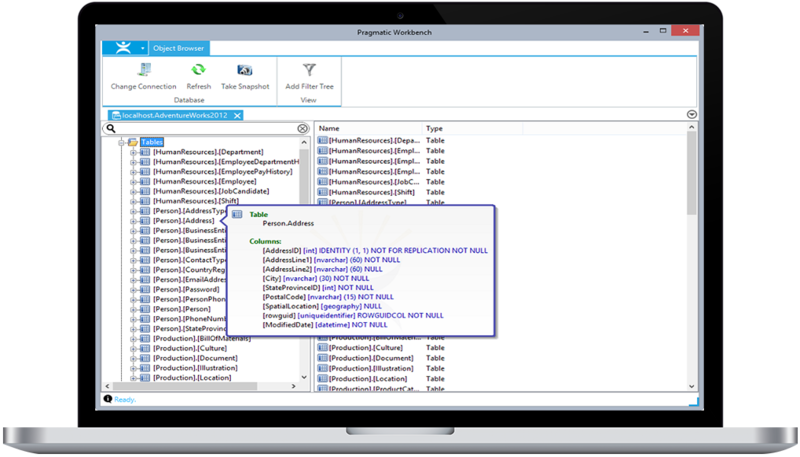 DBA xPress provides next-generation SQL Server tools for developing or administering large Microsoft SQL Server database systems, including a schema inspector, a data inspector, and an object browser. Please reach out to us for more info. 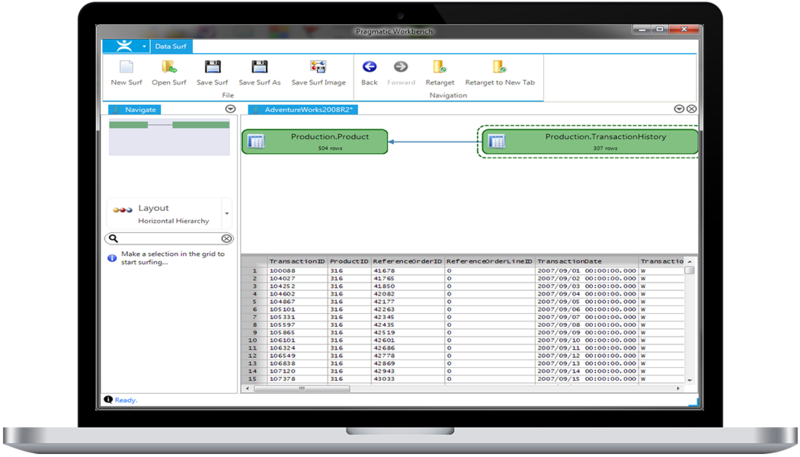 The DBA xPress Schema Inspector will allow users to view differences between databases and synchronize the schemas between them. 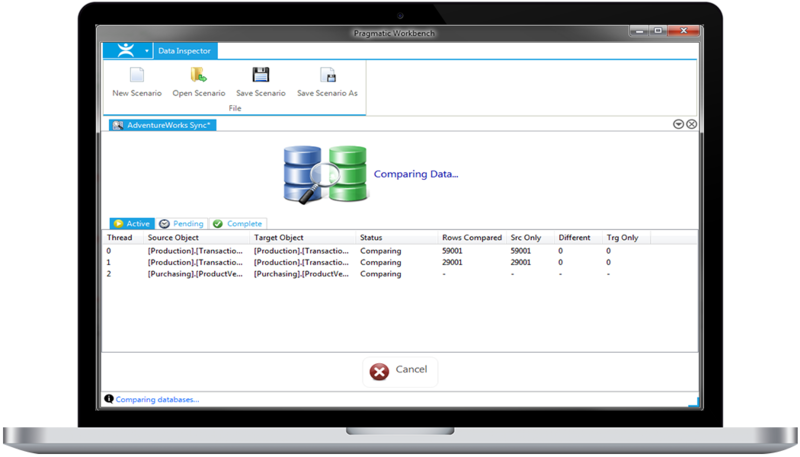 Data Inspector will create detailed comparisons between the data stored in two different databases and enable users to sync data between databases. 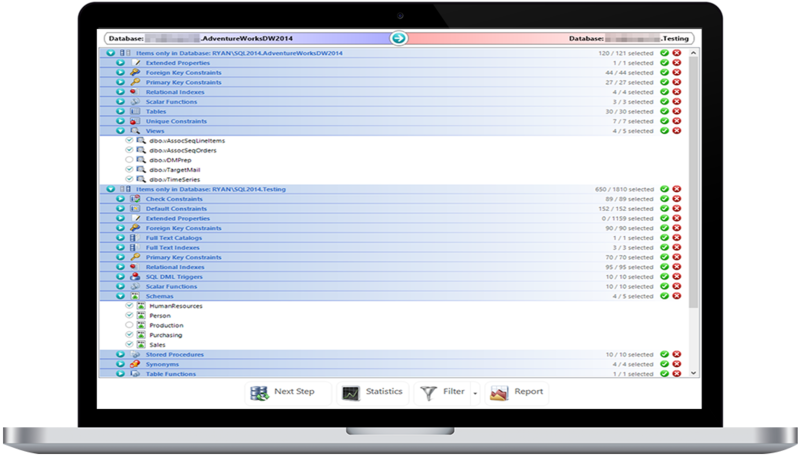 Data Surf enables users to view data in a table and also see how that data relates to other tables. 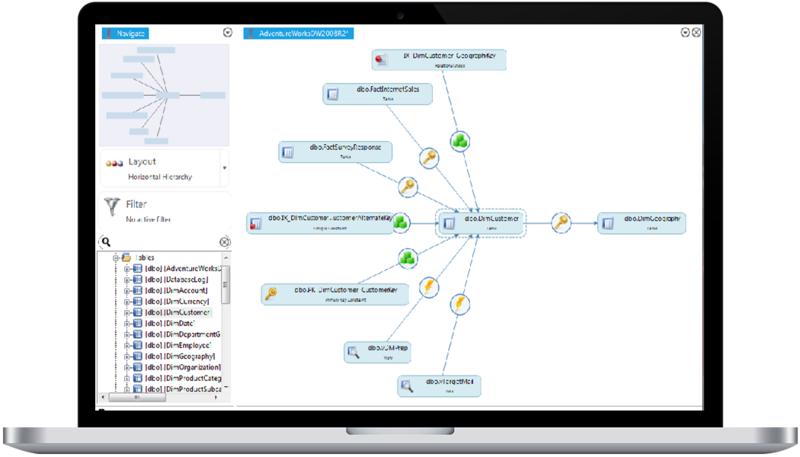 Schema Surf allows DBAs to find out how objects in a database are related, including schema dependencies between security policy, functions, table and user. 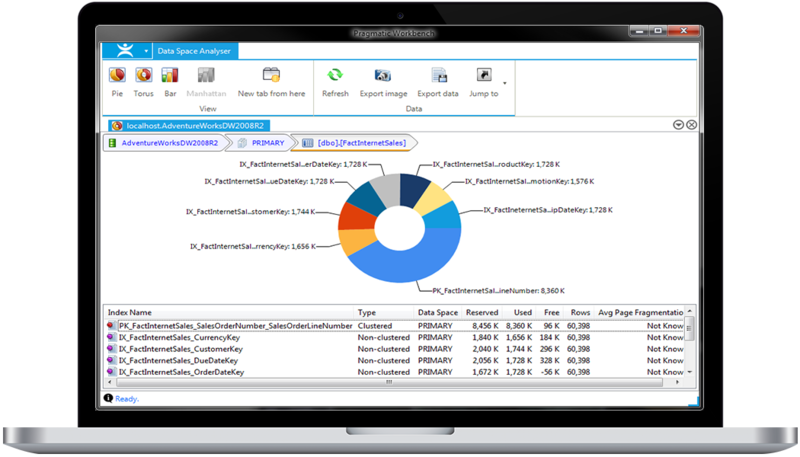 Data Space Analyzer will assist DBAs with managing their SQL Server instances and display graphs showing information on disk space usage. Object Browser lets you browse, search and filter the content of SQL Server databases with instant access to the script of each object. DBA xPress provides next-generation SQL Server tools tailored for performance and ease of use when architecting or administering large Microsoft SQL Server database systems. DBA xPress is licensed per user, per machine where it is used. Please contact sales@sentryone.com for more information.